« Our Gift Registry is for Everyone! Our Annual Sale runs through August 11 with 20% OFF* everything in the store! In-store only. In-stock only. All sales final. 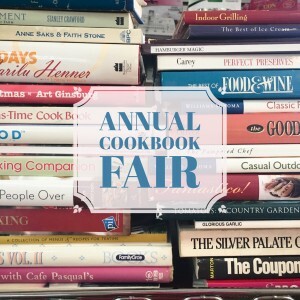 No other discounts apply, except Cookbook Fair coupons! Coupons are given for each cookbook received!